Competitor investigations is the art of ethically gathering information related to our clients’ similar or fraudulent products or services. Competitive intelligence investigations are unique in the world of private investigation, as they often require an extensive background in business operations, surveillance, accounting and finance, forensic and audit experience, information technology and human resources. Having assembled subject matter experts and professional investigative generalists with experience in competitive intelligence. 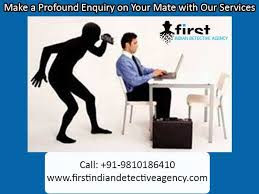 FIDA, Best competitor Investigation Agency in Delhi is perfectly situated to provide the best commercial and industrial services available. FIDA specializes in Competitive Investigations, security, training, and consulting solutions for corporate clients. We accomplish this by actively utilizing focusing our services tuned to our client’s hierarchy of needs, resulting in a high quality service our clients and employees appreciate and respect. Our goal is to provide a high return on investment by providing high quality, efficient, and effective services, exceeding our client’s expectations. First of all, we compare the history of your competitors to know exactly what gives them the strength to operate in the way to do. We will give you details of how the companies began and how they have developed through the times up to the present. We will, however do this anonymously to avoid raising any eyebrows by your competitors. FIDA also carries out investigations on the intellectual property owned by your competitors FIDA provides best competitor investigation services. We will find out the trademarks, patents, copyrights and logos they own that help them operate the way they do. Some companies own patents that allow them to operate almost as monopolies. This makes it hard for you and other firms in the same industry to compete equally with them. After knowing this, you will be able to make the right decision for your company. Our competitors investigation also entails checking their due diligence and business backgrounds. We will check for you if your competitors have any lawsuits either filed by them or against them and what the lawsuits were about. You need to know your competitors in terms of their strengths and weakness to thrive in business. We will identify those for you. Our team of highly trained experts will also endeavor to establish the key employees of your competitors such as the chief executive and other managers. We will also give their details in their partners, investors and directors. With this information, you will get a general picture of who your competitors are. We also carry out surveillance and field investigations on your competitors to establish issues such as their companies and factories and how they operate in terms of the conditions of the employees, the times of operations and other similar factors. We will also carry out identification and investigation of the employment conditions of your competitors and their employees to allow you have a general picture of their general working conditions. Lastly we will give you a deep review of their suppliers and vendors and the relationships they have with the specific competitors. Our Competitor Investigation services have been used by companies for a very long time up to this moment. We have operations spread out the India such that we can offer our services no matter where you need them to be. We carry out these activities knowing you need professional help establishing the truth about your competitors to succeed in your business. In business, as in sports, sometimes the best offensive plan is to first develop a great defence. In FIDA is the best investigation service providing agency and we carry out various investigations into the type of competition you face to enable you stay ahead of the game in your line of business. Our competitor investigation service focuses on a few important areas in their operations to give you the real picture of your competitors.